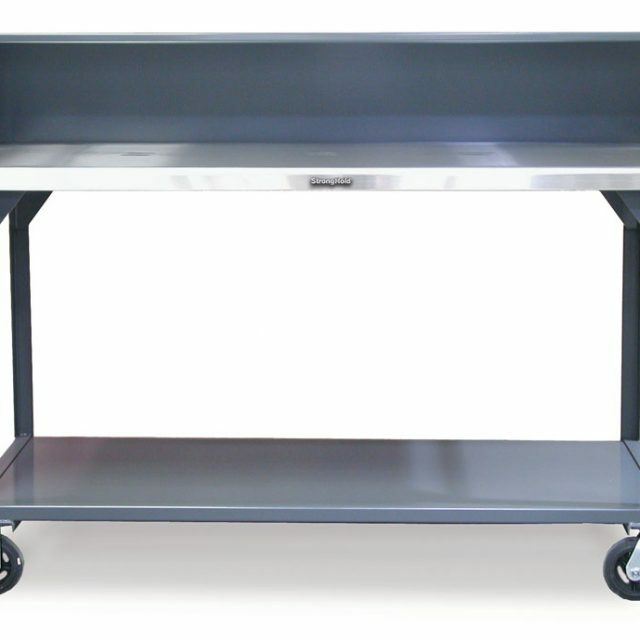 Stainless steel tool Cart with 1 half width shelf on left side and open area on right side. 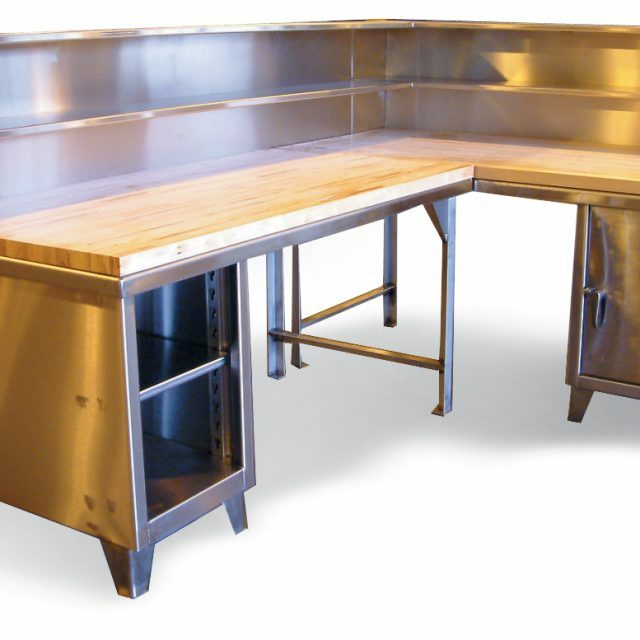 Also includes a vise shelf on the right side. 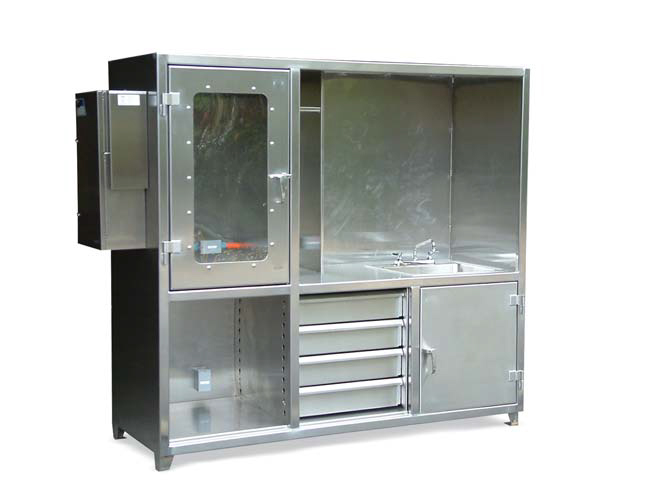 Doors are lockable with a pad lock using our 3-point locking system. 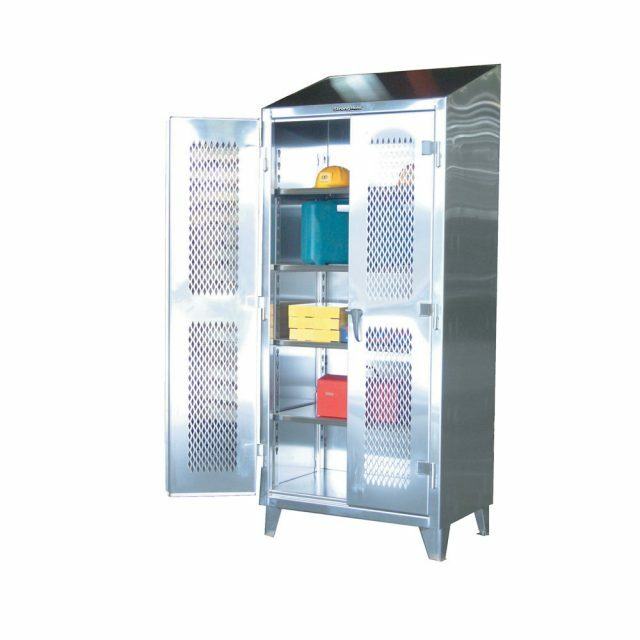 Our tool carts keep valuables safe. 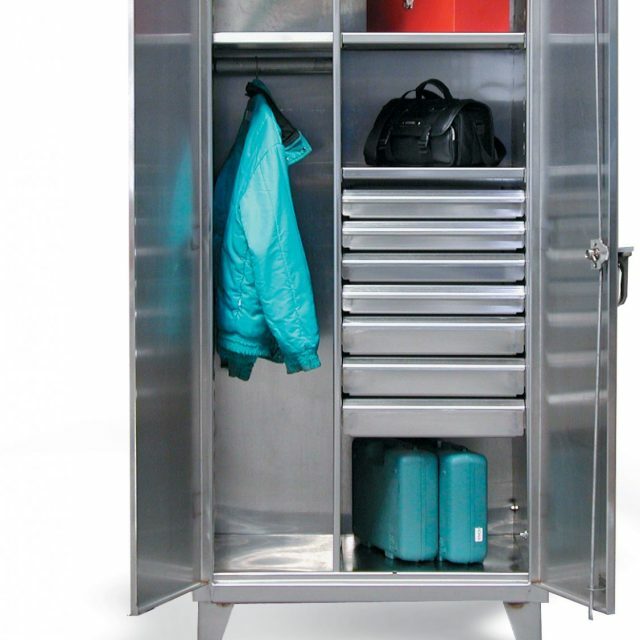 Their rugged design makes these cabinets the ideal maintenance work stations on wheels. 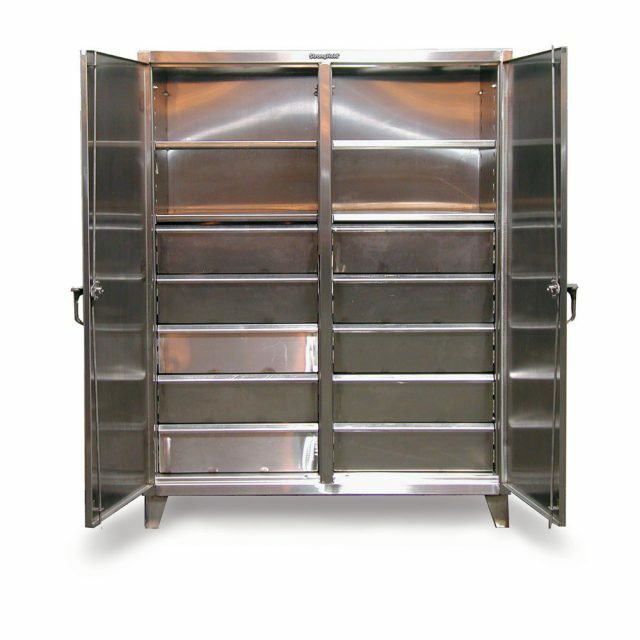 These are constructed using 12 gauge stainless steel and feature a 7 gauge work top with side and back guards to prevent tools and parts from falling off. 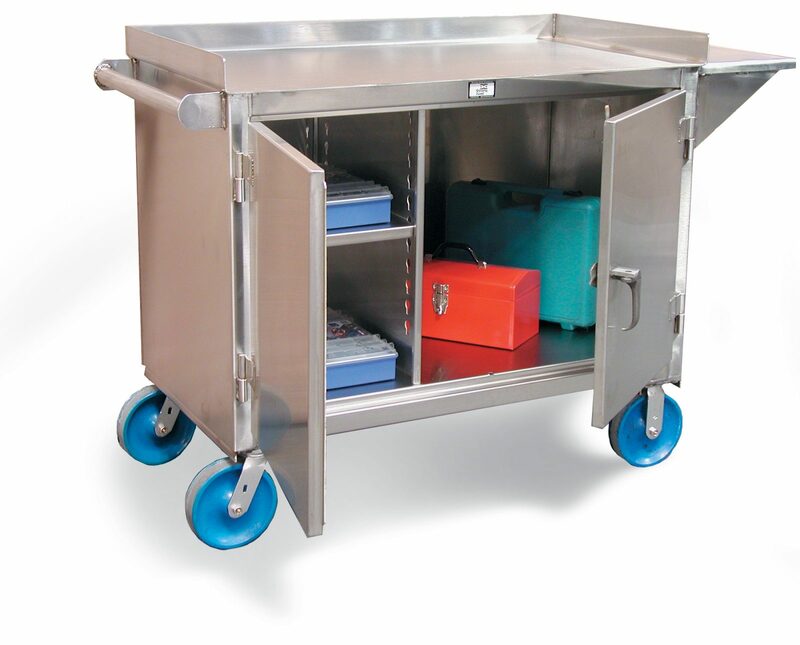 Shown with the 8 inch high x 2 inch wide swivel with brake and ridged polyurethane casters make maneuvering easy and can withstand a 2,000 lbs load. A handle is provided for steering. 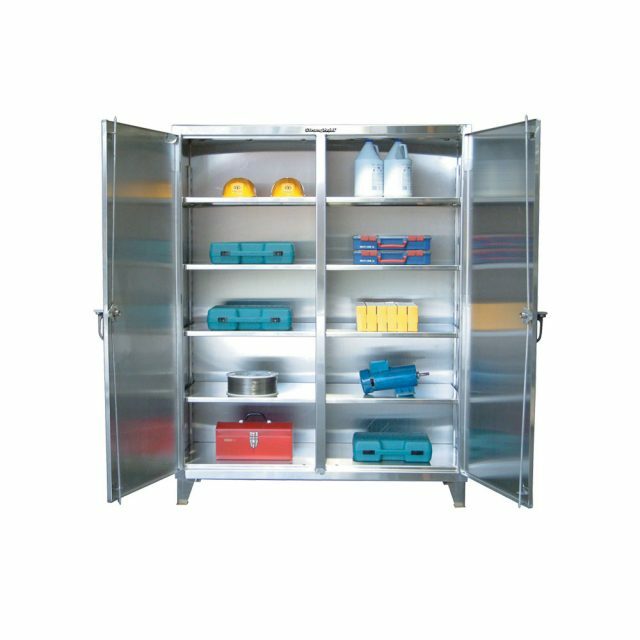 These tool carts feature 1 half width shelf on the left side and open on the right side. 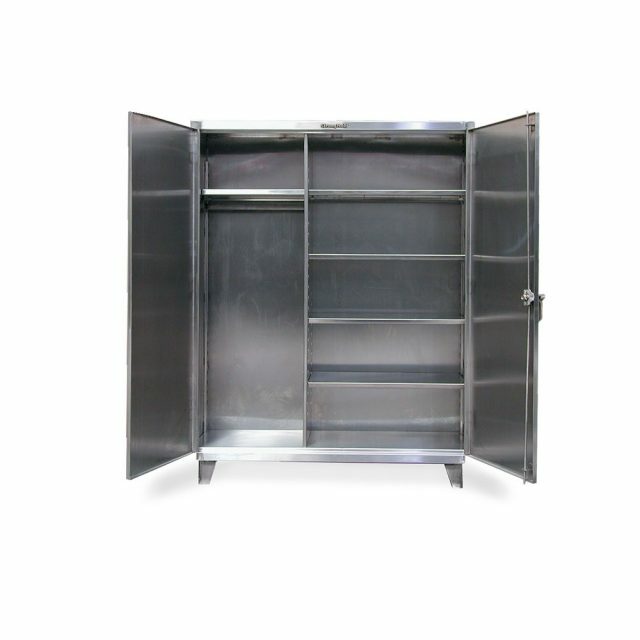 This tool cart also has the added vise shelf option.